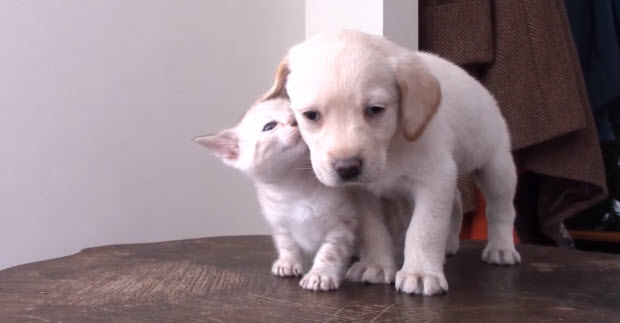 These Two Are So Cute That You Will Be Saying “Awww” Every Time They Will Make A Move. 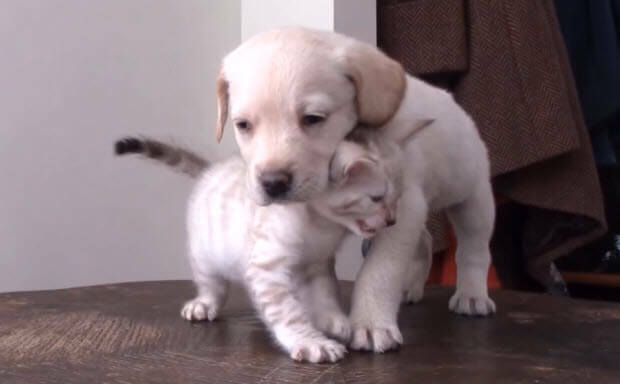 These two cuteis are yellow labrador retriever puppy and bengal kitten. These two seem to become friends almost right away. 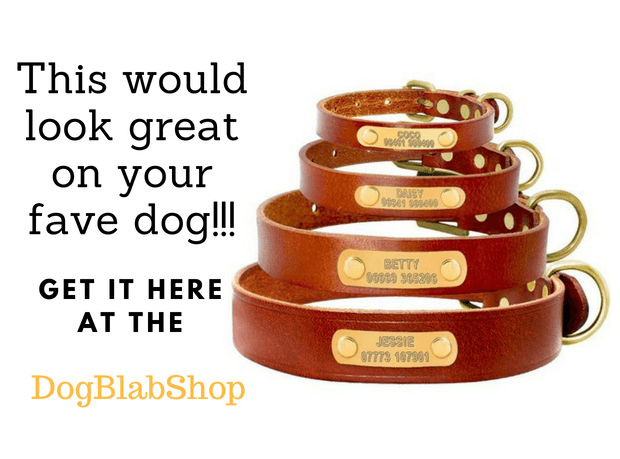 They both don’t have any prejudice and they don’t know yet that dogs don’t get along with cats… 🙂 Kitty is circling around this adorable labrador puppy and making such cute sounds that you will have a huge urge to run to the pet store and get yourself one of each. 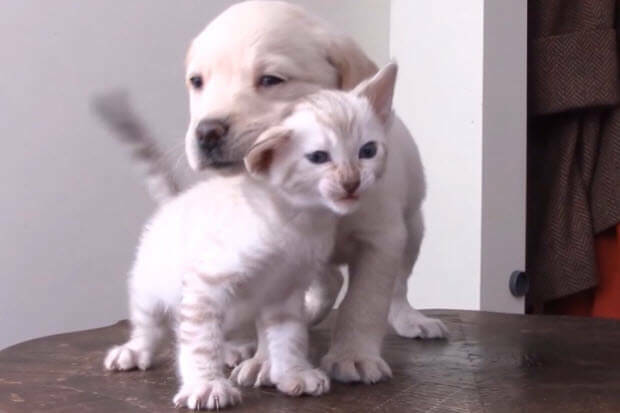 Puppy seems to be very calm and this adorable kitten making circles around his “big” friend. Kitty seems to love her big friend!